A contemporary yet classic design featuring ornate swirls makes the perfect gift for Weddings, Anniversaries, Engagements or Civil Ceremony's. The jar can be personalised over 4 lines, with lines 2 and 3 in Bold up to 15 characters and Line 1 and Line 4 up to 20 characters. 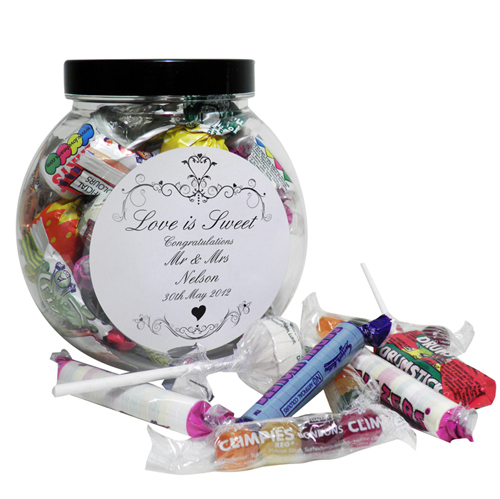 Please note, 'Love is Sweet' is fixed text. Personalise over 4 lines, with lines 2 and 3 in Bold up to 15 characters and Line 1 and Line 4 up to 20 characters.